When I renewed my promise to myself to write as much original content for CTMQ as I can in mid-2016, I also promised to try to do more food stuff. Mostly these hole-in-the-wall specialty ethnic places. A quick poke around the Googles shows me that there are a couple Argentinian restaurants in Connecticut. There’s even one in Hartford that I should try to get to someday. But Aby’s is a bakery. A teeny, tiny little Argentinian bakery with a teeny, tiny little parking lot. I’ve been popping into Aby’s for years and it was usually always for the same delicious reason: churros, baby, churros. I never bothered even looking at the other stuff on offer. For me (and Hoang), it was all about the churros – and the coffee here is good too. 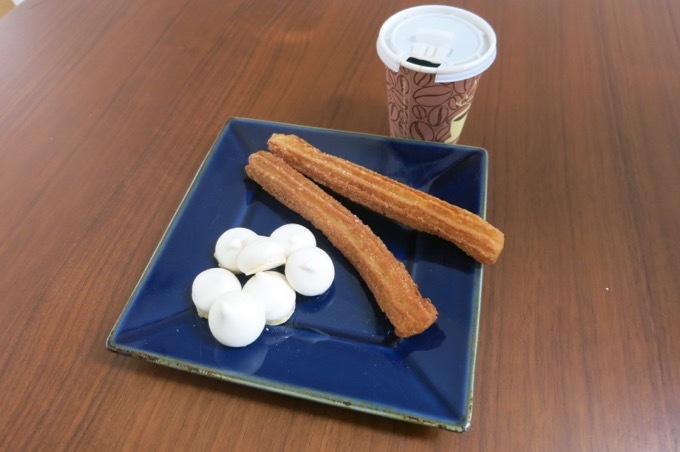 Strong coffee and churros… Pretty much all one needs in the morning. 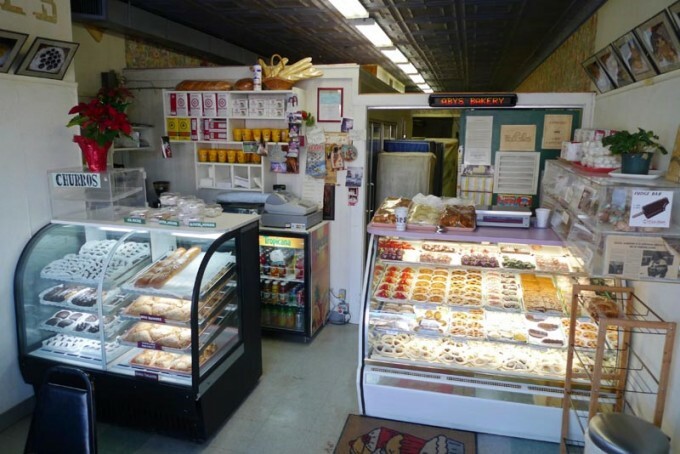 Aby’s, which is owned by Isabel E. Bellefleur and her niece Celia B. Bardy, both of whom hail from Buenos Aires, has been in operation for many years and offers many fabulous treats. There are braided challah breads, croissants, doughnuts, churros, éclairs, fruit tarts, turnovers, cupcakes, brownies, elephant ears and all manner of cookies, including several varieties of alfajores. For those not yet initiated, alfajores are twin butter cookies sandwiching dulce de leche, an Argentinian fave, that can be coated in cocoa powder, powdered sugar, or best of all, chocolate. While alfajores appear to have Spanish origins and are popular throughout Spain and Latin America, Argentinians are the world’s greatest consumers of them. Pro Tip: You’ll never in your life see churros out in the display case. You must ask for them and then you must cross your fingers they still have them for you. Then you must email me to thank me for telling you about them. Okay, so… When I decided to highlight some of these types of places on CTMQ, I paid Aby’s a couple visits. I love these types of businesses. I should tell you that Aby’s makes delicious breakfast sandwiches, empanadas, and things like ham and cheese sandwiches. In fact – and this is kind of huge – Aby’s bakes the little baguetty rolls that A. Dong uses for their banh mi. An Argentinian bakery supplying the French-inspired rolls for a local Vietnamese grocery store. And THAT is why the US is cool. 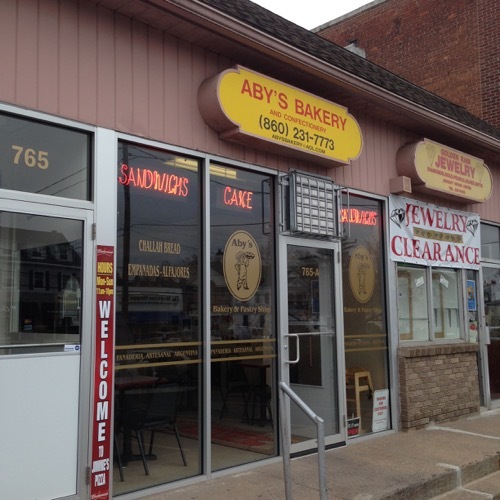 But for our purposes, I’m focusing on the “bakery” portion of Aby’s. Did I mention the churros? Dang, I love the churros. We Speecialeze in fine Cakes, Challah, Empanadas,Cookies. Expresso- Capuchino- American Coffee and more. 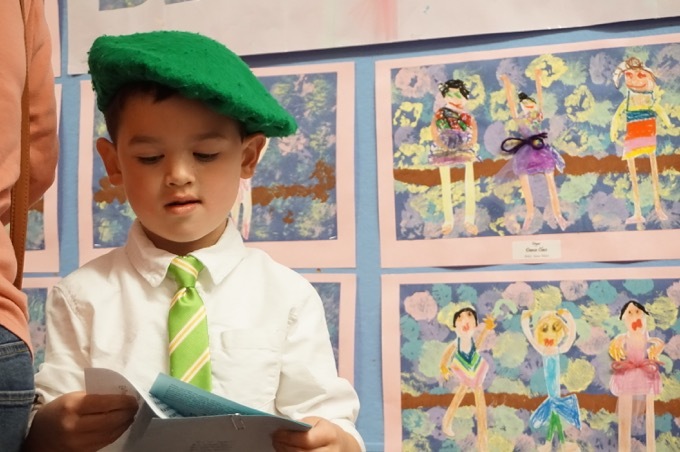 It’s like they captured the Argentinian accent on purpose there. Let’s branch out a bit. 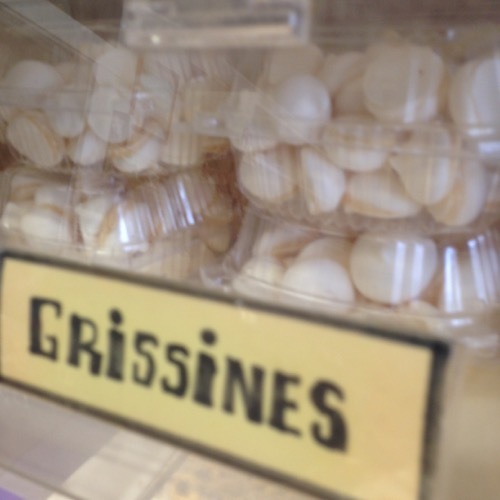 This picture that says “grissines” are not grissines at all. Grissines are, apparently, breadsticks of some sort. These are clearly meringue cookies. I’ve learned that the Argentines love two things in their desserts: meringue and dulce de leche. Merigue is put on top of several desserts that often feature dulce de leche. Argeninians apparently like really, really sweet things. Aby’s meringues are… good. But it’s hard to mess up meringue. Heck, I can make meringues. Meringue is a weird word. But moving on to more delicate desserts, I bought some little layered pastries called… I don’t know, we’ll go with a rogel. But it could be an Aby variant on the classic Argenine alfajor, rogelized. I don’t really care what it’s called, because it’s so delicious. Thin pieces of pastry dough with, yup, dulce de leche in between. Ridiculous. I wanted even more of a real Buenos Aires cafe experience, so I asked for some tea. I was warned that this isn’t the tea I was used to, so I was given a tea bag for free to try it out. 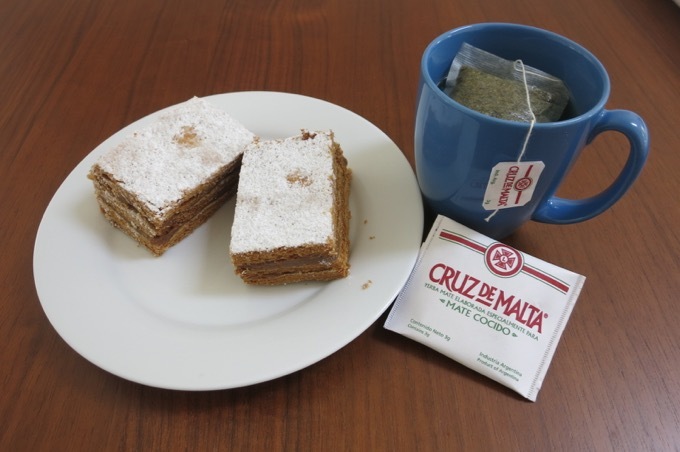 I just read a bunch about the brand (Cruz de Malta) and the style (mate cocido) and learned that it’s not just tea, it’s a traditional drink called Yerba Mate. It’s drunk out of gourds with metal straws. Here’s a page with a bunch of woo, but also some good info about Yerba Mate. 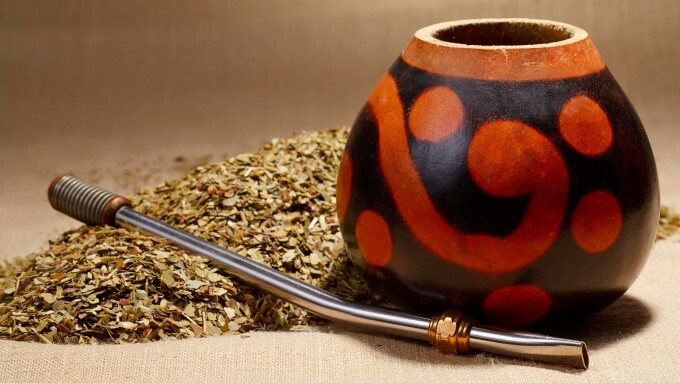 Yerba Mate has the “strength of coffee, the health benefits of tea, and the euphoria of chocolate” all in one beverage. I steeped it and drank it with no sweetener (to be legit) and… it tasted like tea to me. I experience no euphoria and I didn’t feel any healthier. So I don’t get it. I don’t understand why Isabel gravely warned me about it and I don’t understand why in the world one “should” drink it from a gourd through a metal straw. The more I read, I think traditional yerbe mate is really strong and the tea bag version I had is some sort of weakened variety that is more like regular tea. The quest continues then. But I do understand why I love Aby’s. I love the spartan seating area and the almost non-existent menu. 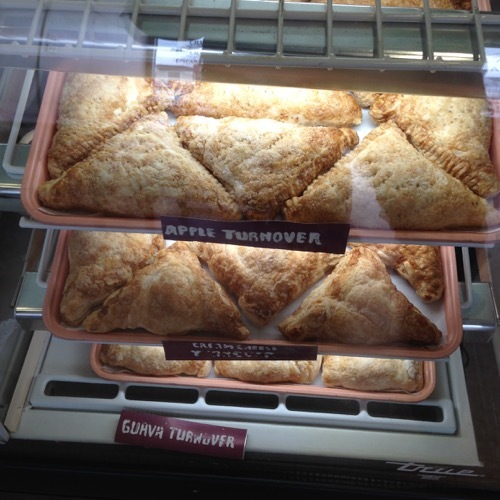 I love the “in the know” feeling one gets while ordering at the counter. I love that you may or may not get churros and sometimes it feels like you must be deemed worthy of getting them. I love the coffee and I love their unabashed “need” for super sweet treats. By the way, I tried to find a definitive answer for “Argentine” vs. “Argentinian” but there is none. This was an intesting read, however. Aby’s interior… picture is from the wonderful Gaspar Sancoche; a blog which I miss very much. 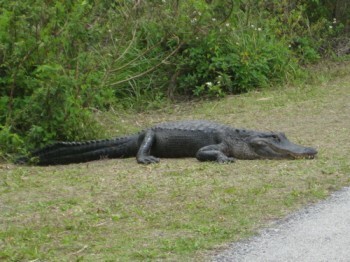 COME BACK, GASPAR!